This beautiful piece is generously sized to wear as a scarf or lightweight wrap. 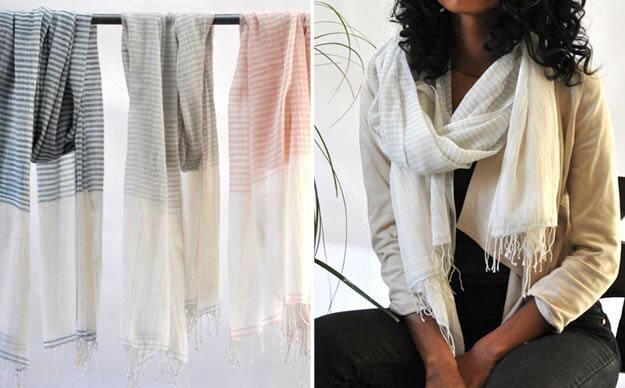 Entirely handmade of Ethiopian cotton, the Ari can dress up any outfit or be worn with your casual attire. Hand wash.